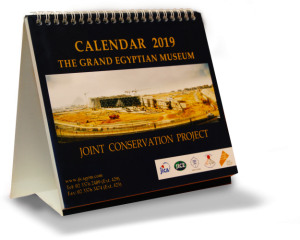 In cooperation with the Executive Authority of the Grand Egyptian Museum (GEM), the Ministry of Culture, Japan has been providing technical assistance as well as financial assistance to the Grand Egyptian Museum Conservation Center. Japan International Cooperation Agency (JICA) signed the proceedings of the cooperation with Ministry of Culture, Egypt in April, 2008, and the technical cooperation for the center started in June, 2008. The 34.8 billion Japanese Yen (392 million dollar) is given by JICA as a Soft Loan to cover Phase III that includes financing a greater part of the building construction, exhibition and interior design, landscape and urban design, and the ICT component. The project costs amount to 550 million dollars; 100 million US dollars from SCA Self-Financing to cover the completion of Phase I & Phase II of the Project and 150 million US dollars from Fund-Raising Campaign. The ADD is a project team of Egyptians set up by JICA, which is seeking the most appropriate system and procedures of database creation by restructuring the database created before. In cooperation with the National Research Institute for Cultural Prosperities, Tokyo, JICA have been organizing various training workshops program on conservation in both Egypt and Japan.